In 2015, Beck Advisory was asked to explore opportunities and to conduct a detailed feasibility analysis for a new head office location in Perth on behalf of a long-standing client. 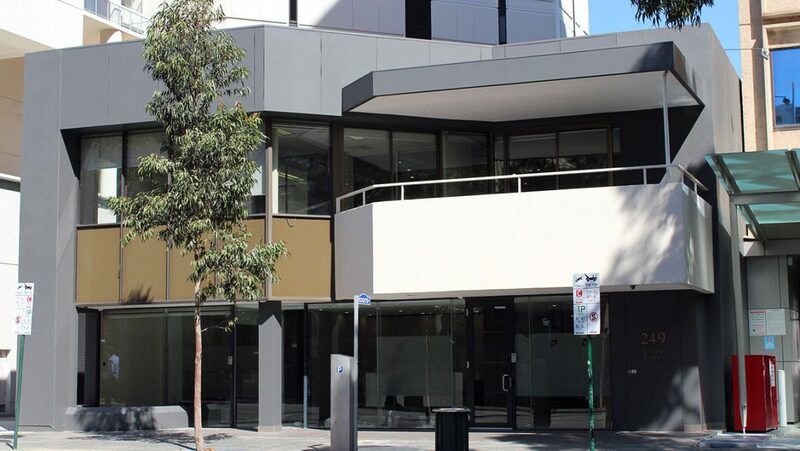 Following this process, Beck Advisory successfully negotiated the acquisition of the properties located at 249 Adelaide Terrace, Perth, and liaised with architects to prepare a concept for the site. Work commenced in mid-2015 by RJC Construction and the project presented challenges to bring the original buildings up to meet current standards. The refurbishment was completed in March 2016 and the building includes approximately 1,800m2 of NLA over three floors, plus parking, and is 100% leased.